Green leaves in Sri Lanka. 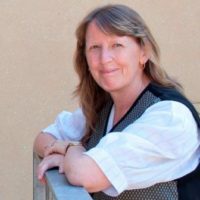 Prof Sharon Lawn, PhD, MSW, DipEd, BA is Director of Flinders Human Behaviour and Health Research Unit (FHBHRU) at Flinders University. She has coordinated a multidisciplinary Postgraduate Chronic Condition Management Program for the past 12 years. Her research examines diverse issues across the healthcare spectrum, with a focus on the interactions between health care providers and health service users within systems of care. Her PhD on ‘Systemic Factors that Perpetuate Smoking for Mental Health Populations’ and subsequent efforts over the past 15 years have influenced policy and practice in many countries, with the widespread introduction of smoke-free policy across mental health, drug and alcohol treatment and prison settings. Her passion is improving the experience of care for people with chronic conditions and their families, and supporting health professionals to provide quality healthcare. In 1970, Elvis Presley sang Joe South’s famous words ‘Walk a Mile in My Shoes’. For people with chronic conditions – those requiring long-term self-management – this journey usually includes the hope that others, such as health professionals, have some empathy for their experience of living with chronic conditions. We know that this has a direct impact on health outcomes (Kelly et al, 2014). Many of the values suggested in this song are akin to the values that we would want and expect health professionals to deliver to patients as for patients’ views and preferences, trust and belief in patients’ capacity, ensuring dignity and autonomy, and understanding and listening to their wants and needs. Self-management has been defined as what patients with chronic conditions do by taking action to cope with the physical, social and emotional impacts of their conditions (Lorig & Holman, 2003). Everything about this definition suggests that it is the patient who determines how these impacts are understood and experienced, and that health professionals’ role is to facilitate patients to build capacity and resources to manage these impacts. It’s about ownership and partnership; with patient and health professional each bringing their expertise to bear on the issues, ideally as part of a well-constructed chronic condition self-management (CCMS) care plan. For almost two decades, the Flinders Program has provided a means for health professionals to learn how to develop patient-centred CCSM care plans, underpinned by the above values. This all sounds straightforward and obvious – Don’t we already do that? Yet, many patients, advocates and family carers continue to report feeling excluded from decisions about care by health professionals who they perceive as not listening to or understanding their perspective. When we first started teaching the Flinders Program as a core component in our University’s medical program more than a decade ago, several students argued that they already knew how to provide these ‘soft skills’ to patients. Like any innovation, it has taken time to build the evidence-base, to convince others of its value as a set of skills that need to be taught, explicitly. Finally, this year we celebrate its recognition by the Commonwealth Fund as a leading international model addressing care coordination needs of high needs high costs populations. Despite this progress, our education and training institutions continue to be confronted with undergraduate health professionals who think that self-management support fundamentally involves providing education to improve patients’ health literacy – code for telling patients what to do, what they aren’t doing properly, ‘responsibilizing’ patients, yet expecting them to follow health professionals’ good advice and defining problems as resting within the patient when they don’t seem to follow that advice. Once they become health professionals, many realise that supporting self-management, and the behaviour change inherent within it, can be complex; particularly for patients with comorbid chronic conditions and complicating psychosocial life circumstances that can hinder their best efforts to self-manage. It requires collaborative care planning with patients. So how do we teach and practice patient-centred care more effectively? Rather than continuing to circle around the issue of definitions of patient-centredness (which feels like Groundhog Day), perhaps we could do the more radical thing (or not so radical thing, depending on your worldview) of being more transparent with patients. Don Berwick (2009) argued that health professionals are merely guests in people’s lives and that incorporating patient-centredness into healthcare will involve, “some radical, unfamiliar and disruptive shifts in control and power, out of the hands of those who give care and into the hands of those who receive care’’. He describes some system design features to achieve patient-centredness, such as shifting the locus of control to patients, extending transparency in all aspects of care, and learning to individualise and customise care more to the needs of patients. Sounds simple and one wonders why we just don’t go ahead and do this as part of routine care. The Flinders Program of care planning does all of these processes because it is actually about changing the behaviours of the health professional as much as it is about engaging the patient in collaborative care. It begins from an assumption that the patient has expertise from their experience of living with a chronic condition and is likely already doing something to manage their health condition; that the patient is a resource (a ‘teacher’) that the health professional can learn from, rather than merely a receptacle of health professionals’ expertise and advice. Transparency by the health professional is evident at every step in the process of constructing the CCSM care plan, from shared paperwork to the health professional engaging in open conversation when discrepancies arise between the patient’s view and their view of the patient’s self-management knowledge and skills. It helps the health professional to stop and listen to their patient’s strengths, barriers and opportunities for change. But all of this takes a commitment and, arguably, time within systems of care that don’t always prioritise the stitch in time that saves nine, but instead keeps pushing practice and patients through the standard sausage machine hoping that they come out the other side OK. In our postgraduate program, one task we get health professionals to do is to ‘walk a mile’ (or at least a few steps) in patients’ shoes, by asking them to set a lifestyle problem and behaviour change goal for themselves. We then ask them to dialogue with a peer for support, weekly, over a 6-week period, and then reflect on the experience and its potential impact on their professional practice. As expected, the experience is cathartic! Students quickly realise that, despite their best-laid plans, life gets in the way, and low self-efficacy and a sense of failure lurk at each opportunity to undermine them. One health professional put it this way: “the lack of control I felt is only what I can presume it may feel like for patients where they are advised or told they must change their behaviour.” Another reflected: “If I am feeling this way, how are my clients feeling when they have the added hurdles of being unable to just get up and exercise as I can because of chronic lung disease, chronic pain, reduced mobility and medication that increases their weight …I just didn’t see it before now; my eyes have been opened.“ It appears that we don’t need more debate about definitions; we just need the courage to take a few uncomfortable yet rewarding steps down that road that our patients with chronic conditions travel each day. Berwick DM. What ‘Patient-Centered’ Should Mean: Confessions of an Extremist. Health Affairs, 28(4), w555-w565. Kelly JM, Kraft-Todd G, Schapira L, Kossowsky J, Riess H. The Influence of the Patient-Clinician Relationship on Healthcare Outcomes: A Systematic Review and Meta-Analysis of Randomized Controlled Trials. PLOS One, 9(4), e94207. Lorig KR, Holman HR. Self-Management Education: History, Definition, Outcomes and Mechanisms. Annals of Behavioral Medicine, 2003, 26, 1-7.